During the recent Democratic National Convention, we heard a lot about how General Motors is back, thanks to its government bailout. Now Reuters has a report that reveals, again, that things aren’t all that great at GM. The report addresses the economics of the Chevy Volt. Using information from industry analysts and manufacturing experts, Reuters estimates that GM could be losing as much as $49,000 on each Volt it sells. The Reuters piece concludes that the Volt uses complex technology and expensive components and notes that analysts say it is “over-engineered and over-priced.” GM says the Reuters report is “grossly wrong” because it doesn’t allocate product development costs over the lifetime of the Volt program — but even GM concedes that it is losing money on the car. Volt sales are poor. GM forecast that it would sell 40,000 Volts this year; through the first eight months of the year it had sold only 13,500 — and that’s even with an incentive program that allows a Volt buyer to get a two-year lease for as low as $199 a month. GM has had to halt Volt production lines twice this year due to low sales, and some people question whether American consumers will ever want a plug-in car that takes hours to recharge its battery. 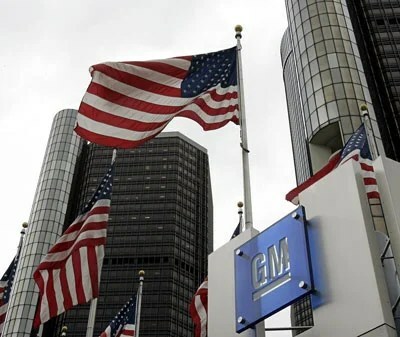 Politicians can argue about whether the bailout and government-sponsored bankruptcy were the best way to handle GM’s struggles and saved hundreds of thousands of jobs or instead simply locked in excessive labor costs and inept management. Those debates shouldn’t affect a clear-eyed appraisal of GM now, four years later, with American taxpayers having invested billions of dollars in the company. Let’s not kid ourselves: successful companies don’t market products that are sold at less than cost. The Reuters analysis of the bad economics of the Volt helps explain why GM’s stock price is in the doldrums, and why we should all be concerned about the company’s future rather than engaging in empty cheerleading. Hello, Mr. Webner. It’s one of your friendly securities analysts at the Treasury Department. Hot enough for you? Ha, ha! Yes, Mr. Webner. It’s me again. Time for you to get another update on that GM investment. This time, I’ve got good news and bad news. Which would you rather hear first? The bad news, I suppose. Well, I’m sorry to say that GM’s stock price has hit another new low. GM has lost more than one-third of its market value since it went public less than two years ago. We’re shocked. We thought those great commercials with likable folks talking about how smart they were to buy Chevy Volts would really cause a boom in sales. So, how much have we lost? Between the plummeting value of our GM stock and the tax breaks we’ve given the company to try to help it recover from decades of mismanagement, bad decisions, and short-sighted labor contracts, we’re out $35 billion. $35 billion?!?! But I thought my Senator was boasting about what a smart move it was to bail out GM? He’s saying it saved jobs, Mr. Webner. They just happen to be jobs that have been heavily subsidized by your tax dollars. Wait — you said you had bad news and good news. What’s the good news? Oh, yes! Right now, it looks like President Obama, the Democrat-controlled Senate, and the Republican-controlled House won’t be able to agree on an extension of the Bush era tax cuts. So, after the end of the year everyone’s taxes will probably increase, and we’ll have even more of your money to invest! Mr. Webner, this is your securities analyst from the Treasury Department. I wanted to give you an update on your investments. Yes, Mr. Webner. We’re closing in on the end of another banner year, and we just wanted to share the good news with you. Good news, eh? Well, what is it? We’re happy to report that we’ve only had to increase the estimate of our loss on our auto industry investment by $9 billion. Wait . . . did you say you are increasing the estimate of our loss by $9 billion? That’s correct. Unfortunately, GM’s stock price has taken a beating lately. But let’s not get mired in details, Mr. Webner! What’s important is that we originally thought we would lose far more money than we now think we’ll lose — so you really can look at what we have done as a gain! So you’re trying to take credit for a disastrous investment that just might not be as disastrous as many people expected? That’s correct, Mr. Webner. And in the meantime, you’ve supported the development of groundbreaking technology like the Chevy Volt! How do you like the Volts you’ve seen on the streets? Sweet, aren’t they? Actually, I’ve never seen a Chevy Volt on the street. I don’t know anyone who owns one. Well, take my word for it, Mr. Webner. That car is poised, in a state of cat-like readiness, to take the country by storm! Now, can I take just a few more minutes of your time to talk about our terrific investments in Fannie Mae and Freddie Mac and Solyndra? Okay . . . so, how did the investment do? Wait a minute — did you say we are going to lose 11 billion dollars?!? 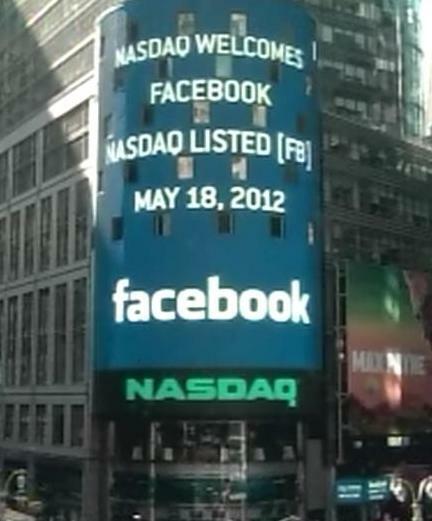 How is the stock doing, then? So, you are telling me that we are likely to lose even more than $11 billion unless gas prices go down and the Chevy Volt takes the country by storm?